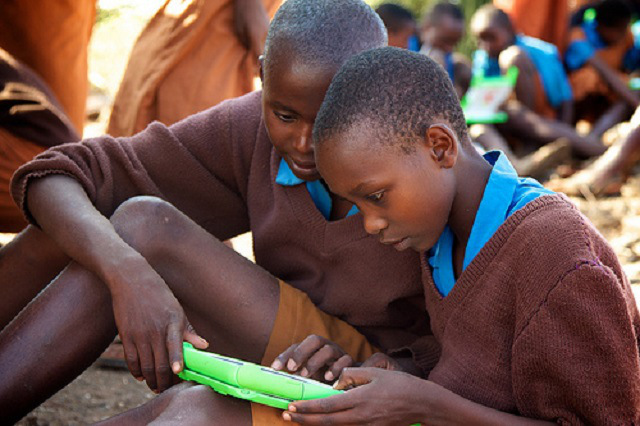 The government plans to start availing 1.2 million tablets in the next two years to cover all public primary schools. During the annual budget read a few weeks ago, the Government set aside Kshs. 17.58 billion for deployment of ICT learning devices to schools, development of digital content, building the capacity of teachers and rolling out computer laboratory for class 4 to class 8 in all schools throughout the country which set the project in motion. We have since established the devices to be issued will be tablets and at a lower cost of Kshs. 17 billion than the initial budget of Kshs. 24 billion earmarked for the laptops. The government has already identified an ICT firm based on Ngong Road in Nairobi to supply the tablets. Tablets were considered majorly due to their portability, ability to hold more content (Kindle can hold up to 1,500 e-books) as well as the longer battery life. The project was one of the key promises of the Jubilee government to issue laptops to Standard one students in Kenya. The project was however, shrouded by uncertainty culminating in a presidential directive leading to the creation of an inter-ministerial committee chaired by ICT ministry CS to champion the project now referred to as digital literacy programme (DLP). DLP is based on four critical pillars which include the development of digital content, supply of power to schools, technology prepared teachers and accessibility of the content on multiple platforms. On the development of the content, Kenya Institute Of Curriculum development has developed digital content for standard 1-3 with conversion onto a universal platform set to take place by September 2015. The ministry of education has also trained over 61,000 teachers as well as 150 master trainers moving to different schools training teachers. Through the Rural Electrification Authority, the project has connected 87% of primary schools with plans to complete connection by December. Already a strategy critical to the success of the program has been formalized as constituting four main areas which are Policy and Strategy, Digital Content Management, Device and Infrastructure Management and Program sustainability. Among the policies to be formulated are cloud computing strategy and ICT standards. To sustain the program four key issues have been identified namely; financial sustainability, partnering with key manufacturers to set up local IT assembly plan, capacity building and change strategy. Mr Wainaina, those tabs use which OS?